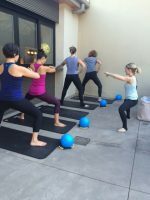 4 reasons yoga & barre are great for postnatal fitness. How do I stay motivated to reach my fitness goals? Should you wrap, bind, or splint your belly back together after pregnancy? How important is nutrition for losing the baby weight?